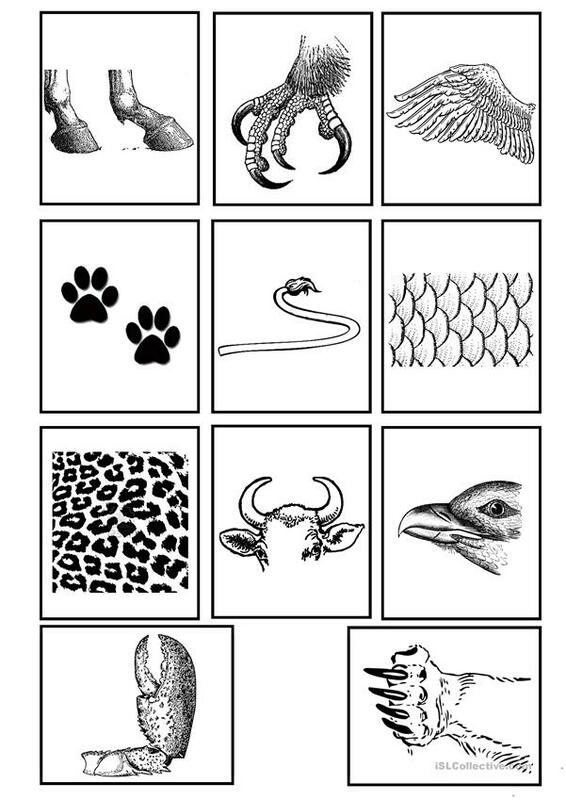 A set of animal body parts flashcards. It includes: hoof, claw (bird), wing, paw, tail, scales, fur, horn, beak, claw (crab), claw (mammal). They can be used for teaching new vocabulary or photocopy it for a memory game. This downloadable handout is best suited for high school students and elementary school students at Elementary (A1), Pre-intermediate (A2) and Intermediate (B1) level. It is excellent for enhancing your students' Speaking skills. It centers around the theme of Animals.